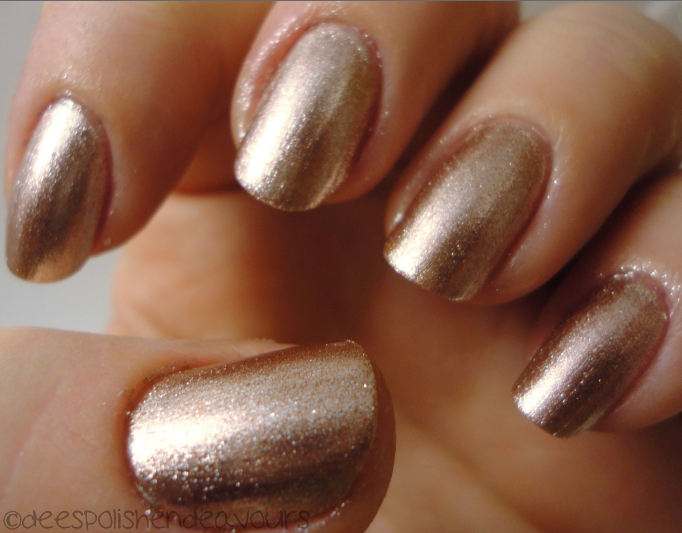 A metallic polish.. I was sort of thinking that maybe Butter London Wallis could potentially work here.. but I went with a polish that has always been in the back of my mind, yet one I have never actually used. I decided to use Orly Rage, and, like I said, glad I did! It is a really gorgeous rose gold colour and it was almost good to go with one coat - but I slapped on a second coat as one coat-ers seem.. like cheating? I suppose this polish is more of a foil, but I figure you'd all let that slide as it almost looks metallic-esque!